I owe Elizabeth Harmon a big ol’ public apology–because I had her booked on Boosting the Signal LAST WEEK, not THIS WEEK, and I completely flipped her date with Ruth Casie. 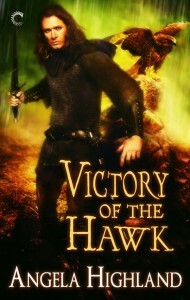 So I missed the window to tell you all about the giveaway Elizabeth was running for her latest novella release! AUGH! Sorry Elizabeth! Also apologies to Ruth, since I posted her too early as well. BUT ANYWAY. Elizabeth has been here before, with Turning It On and Getting It Back. Her latest release is in this same series: the novella Heating It Up. It’s great to be back on Boosting The Signal, to talk about Heating It Up: A Red Hot Russians Novella, the newest release in my Red Hot Russians series. 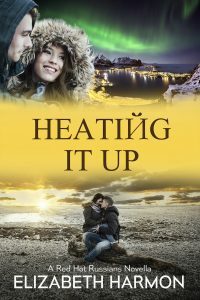 Heating It Up began with its setting, Amity Bay, a soon to be shuttered research station in Antarctica. I’ve always found the icy continent fascinating, but I’d never read a romance set there. I wanted to contrast the harsh, isolated surroundings, with the cozy warmth of a small town romance, and also add an off-beat vibe, similar to one of my favorite 1990s TV series, Northern Exposure. Heating It Up’s Red Hot Russian hero is rugged Alexei Zaikov, Amity Bay’s station manager. Heroine Nora Bradford is a sophisticated American fish out of water who wants to spend the long dark Antarctic winter alone and grieve the devastating losses of her fiance, and career. But Nora has a secret, one that could devastate Alexei and doom their romance. Read on, as Nora tells her story. Everyone has that little thing that makes them crazy. For my mother, it was swearing. All I had to do to set her off was drop the f-word into a conversation. Not that went looking for ways to antagonize her. I’ve always been a peaceful person. Miss Go Along to Get Along, who rarely make waves. Except for that once time when I did. But more about that later. My name is Nora Bradford and I’m 26. Most people would consider that young, but not me. The last two years have felt like ten. That’s what happens when you have a perfect, beautiful life all planned out, and then one day, everything changes. That one day was a Friday, and I was at work, at the San Francisco offices of Quinn & Associates, one of the worlds’ top firms specializing in sustainable architecture. After finishing my master’s in architecture at Stanford, I was an associate working on a plum project. I was engaged to Blake, the love of my life, who’d gone down to Belize with friends for a weekend diving trip. Life was perfect until that phone call, telling me Blake had drowned. Just like that, my perfect, beautiful life was gone. All that was left was my work, designing a sustainable luxury guesthouse to replace an obsolete Antarctic research station. Blake had been especially excited about this project and pouring everything I had into Glacier Ridge Lodge was a way to hold onto him. My boss Herbert Quinn, raved about my work, and told me that when the project was finished, he’d promote me to partner. Near the end of construction, our firm traveled down to Antarctica. The beautiful building was everything I’d imagined. Antarctica, utterly breathtaking. There was even a hunky, rugged station manager, who asked me out. And though I still couldn’t picture myself with anyone besides Blake, there was something about Alexei Zaikov that drew me. But I kept my distance. After all, I was the lead designer on the building that was going to put him, and everyone else living at the broken-down Amity Bay station, out of work. Not a good foundation for a relationship. And within my firm, I had a growing sense something wasn’t right. My colleague Mark Jenkins, whose contributions to the project had been minimal, suddenly became the go-to guy, while I was relegated to making coffee. I’d also become too emotionally attached to the lodge, which had become my memorial for Blake and the beautiful life we would have shared. But no matter how much you want to hang onto the past, it’s gone. Which brings me back to that thing which sets me off everytime, and any woman working in a male-dominated field knows exactly what I mean: mansplaining. Profound grief and too much New Zealand Shiraz can really mess with your judgement. Herbert’s mansplain triggered an ugly tirade that would have horrified my poor mother. He survived it, but my career didn’t. Unemployed and alone, there was only one place I wanted to be. It took some devious finagling, but I found a way to stay behind at the now-deserted Glacier Ridge Lodge, the only place where life still makes sense. Spending the winter alone in Antarctica…what could possibly go wrong?